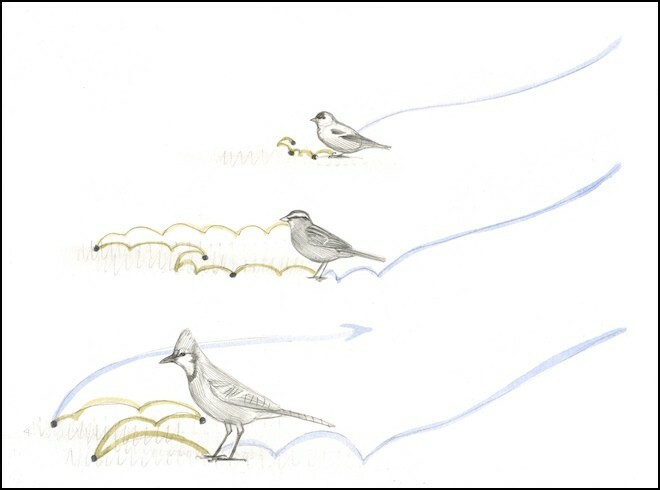 MAKING AN ENTRANCE: In these sketches of a goldfinch (top), sparrow (center), and Blue Jay (bottom), blue lines indicate flight paths and landing hops. Green lines show how the different birds typically move on the ground. Artwork by David Allen Sibley. 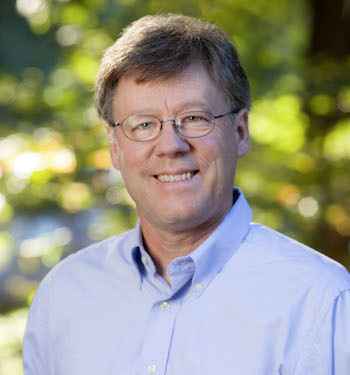 Experienced birders can often identify a bird after seeing only a flash of movement. The way a bird moves from perch to perch, how it uses its tail and wings when landing, the spring in its step — all can trigger recognition. 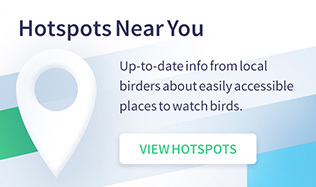 Any birder should be able to appreciate this point. 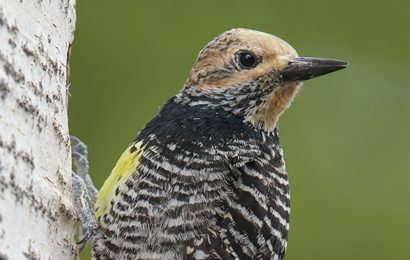 You only need to think of a woodpecker or hummingbird to realize that you already know two types of birds with distinctive and instantly recognizable movements. 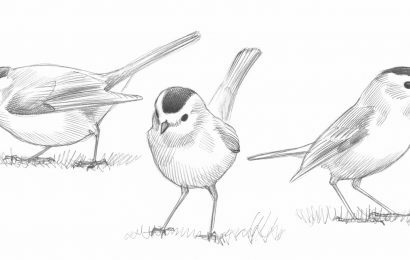 Chickadees, jays, wrens, doves, sparrows, thrushes — each group has its unique gait and style. The movements don’t get much attention in field guides because they happen quickly, and they’re hard to convey in printed images and text. They are also mostly group characteristics. 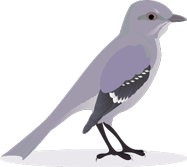 That is, the way a bird moves will allow you to identify it as a woodpecker or jay, but not which woodpecker or which jay. That doesn’t make the features any less useful; it just means that the field guide isn’t a good format for presenting them. In the sketches above, I’ve tried to show typical movements of a jay, sparrow, and finch just after landing on the ground near a feeder. Jays (bottom) are bigger and heavier birds, and their size will usually be clear in their movements. They swoop in boldly and confidently, and usually hit the ground and “bounce,” making one or two long hops. (This dramatic entrance usually has the effect of scattering any smaller birds nearby.) A jay will then survey the scene, move around with big hops to gather seeds, and soon leave. Sparrows (center), including familiar species like White-crowned Sparrow and Song Sparrow, also bounce on landing, but they’re smaller birds. They make a couple of quick hops as they come to a stop, move around the feeding area quickly and easily with athletic hops, and often make a series of rapid hops that carry them several feet across the ground. Goldfinches (top), like other finches, tend to land firmly and stay put. They might occasionally make a few short hops to move to a different area, but for the most part, they stay in one spot and eat seeds within reach. 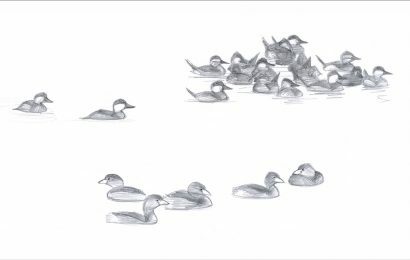 There are always exceptions, and other species add lots of subtle variations, but just watching the movements of birds will lead to a better understanding and more discoveries. 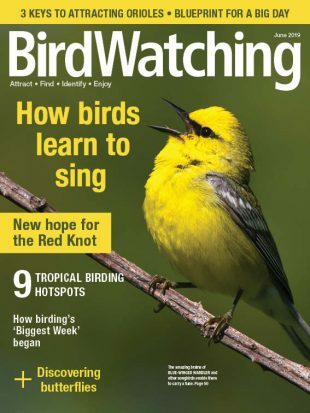 This article from David Sibley’s “ID Toolkit” column appeared in the November/December 2015 issue of BirdWatching.